We’ve already told you about this project from the Goethe-Institut Nairobi and electronic music duo Gebrüder Teichmann, a couple of times! This is just a little reminder that the full-length release is world wide available from now, digitally! The physical release (Vinyl and CD) is on Monday! 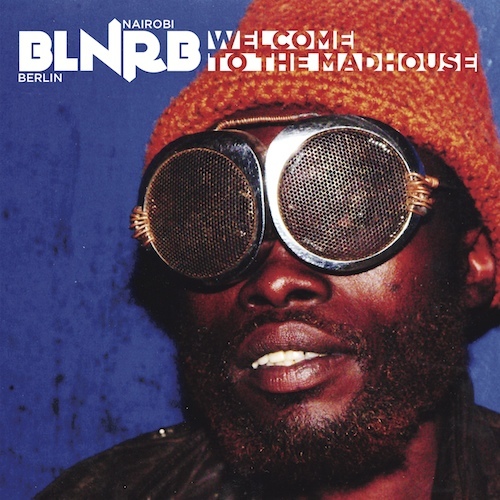 Get 18 very different tunes from the Berlin – Nairobi Connection, short BLNRB or NRBLN! Jahcoozi, Modeselekotor and Gebrüder Teichmann brought their grimey Dubstep, Electro and Hyper-Rave Sound to Kenya’s capital city, where they’ve collaborated with local Rappers like Mister Abbas, Kimya, Lon’Jon, Nazizi but also with blind singer Michel Ongaro and Africas most famous Electropop-Rockers Just-A-Band! WELCOME TO THE MADHOUSE! from NRBLN_BLNRB on Vimeo. also all tunes from the BLNRB EP, released in the End of 2010, are included as well!